Article originally appeared in Lapido Media. MUMBAI, INDIA - On the first anniversary of the Mumbai massacres, sensational claims about a simultaneous attack that claimed the life of the policeman who exposed the terror links of right-wing Hindu groups are gripping India. 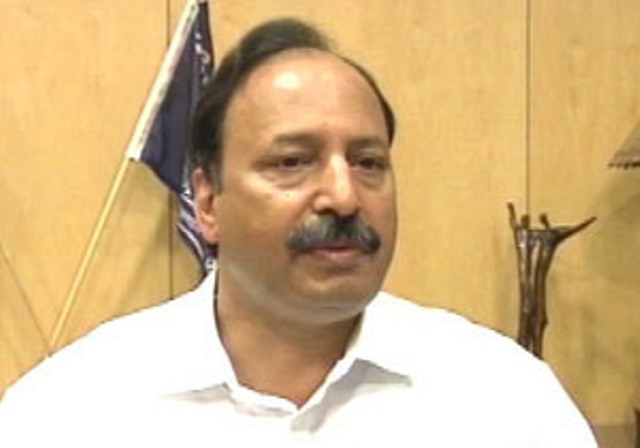 A former top cop makes claims that Hemant Karkare, former Anti-Terrorism Squad chief Hemant Karkare was the victim of a separate assault that took place under the cover of the Mumbai killings. According to Mumbai police, Karkare fell to the bullets of the terrorists from the Islamist outfit Lashkar-e-Toiba (LeT) who had entered India from Pakistan to attack Maharashtra state’s capital Mumbai on November 26, 2008. But S.M. Mushrif, Maharashtra state’s ex-inspector general of police, suggests in his newly published book that former Anti-Terrorism Squad (ATS) chief Hemant Karkare was killed by right-wing Hindu terrorists. The claims indicate the brutality of the struggle for India’s soul, as the nation prepares to host the 2010 Commonwealth Games. Mushrif’s sensational book claims that a month before being killed, Karkare had arrested members of the extreme Hindu nationalist outfit Abhinav Bharat for the September 29, 2008 bombings in Maharashtra’s Malegaon town. In Who Killed Karkare? The Real Face of Terrorism in India, Mushrif admits that there is conclusive evidence that the attacks on the Taj and Oberoi Trident hotels and the Orthodox Jewish-owned Nariman House were launched by Pakistani terrorists. Mushrif, a Muslim, served as a senior police official in Maharashtra for more than two decades before retiring in 2005. He is particularly known for unearthing a high-profile, multi-million rupees scam concerning the printing of fake stamp papers by a Muslim, Abdul Karim Telgi, in 2002 indicating a track record of impartiality in high-profile cases. Mushrif, whose book is based on media reports and his own investigation, alleges that Karkare’s killing was “planned, scripted, directed and choreographed” by some “well wishers” of right wing terror groups in India’s Intelligence Bureau (IB). He points out that a week before the attacks, the US had given specific information to the Research and Analysis Wing (RAW) about a possible assault by the LeT. As per the procedure, the RAW passed on the information to the IB, which forwarded it only to the Naval Headquarters and the Coast Guard, and not to the Mumbai Police or the Maharashtra government. The IB, he adds, had also been given a list of 35 mobile phones used by the LeT. At least three of these phones were used by the Pakistani terrorists, but the IB did not tap the phones. The police found two mobile phones of the terrorists at the CST that were traced to Maharashtra’s Satara district but the Mumbai police made no mention of it in the record of evidence, he underlines. According to witnesses, the terrorists at the CST were fluent in the local language Marathi and they killed many Muslims. Out of the 46 killed in the CST shootout, 22 were Muslim. But those who launched attacks on the other locations in Mumbai killed mainly non-Muslims, he points out. Mushrif also points out that Karkare came to the spot where he was shot at after someone other than his office colleagues had directed him on his mobile phone. According to media reports, the top cops who had been directing the operation against the terrorists were not aware of Karkare’s movements. The author adds that according to initial media reports, security cameras at the CST station had captured the entire shootout and the images of the terrorists. Anti-terror chief Hemant Karkare Anti-terror chief Hemant Karkare Karkare, Additional Commissioner of Police Ashok Kamate and a shooter from Mumbai police, Vijay Salaskar, were killed on the morning of November 27. During the 58-hour assault, the Pakistani gunmen received a total of 284 calls from their handlers in Pakistan, Mushrif says. But not a single call was received by Ajmal Kasab, the lone terrorist who was captured alive by the Mumbai police from the CST area, or his alleged associate, Ismail Khan. He goes on to suspect that Kasab, who is on trial for the Mumbai attacks, was arrested not long after the 26/11 attacks, had earlier been arrested by Indian agencies before 2006 from Nepal, according to the Pune edition of The Times of India of December 16, 2008. Kasab’s admission of the crime, says Mushrif, could have been secured under duress, adds Mushrif. He believes a newspaper picture of Kasab holding a gun at the CST area was “doctored”. Mushrif also frowns on the fact that an official believed to be close to right-wing Hindus, KP Raghuvanshi, was appointed as the new ATS chief soon after the death of Karkare. “My point is that if there is room for an alternative theory in a criminal case, there should be reinvestigation,” he says, demanding that Karkare’s killing be investigated by an independent agency. Priced at Rs. 300 (US$ 25), the 319-page book is published by Pharos Media & Publishing Pvt Ltd, which brings out mainly Muslim titles. “I did not want my manuscript to be heavily edited which other publishers would have done,” he says.